The Swedish furniture giant is rolling out a redesigned logo, but can you tell? We won’t blame you if you don’t believe us. 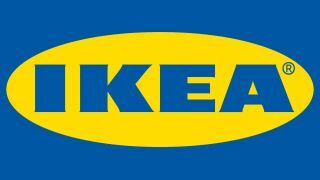 The new logo isn’t exactly a huge departure from the pervious IKEA logo, which had been going strong since 1992. In fact, if you were prompted to draw the IKEA logo from memory, you’d probably whip up something fairly similar to both that logo, and this shiny new one. Speaking of the oval, that’s had a growth spurt to accommodate the (slightly) bigger lettering. The flairs on said lettering have also been trimmed, which allows for tighter kerning. Meanwhile, the counter in the letter ‘A’ has been expanded, and the arms on the letter ‘K’ taper off into a more narrow point. Still not convinced that the logo is that different? Check out this eye-popping before and after contrast put together by the clever folks over at Brand New.